Moisturizing Toner with Herbal Extracts effectively combats blemishes, regulates the skin and leaves it feeling wonderfully clear. Moisturizing Toner with Herbal Extracts for blemish-prone and oily skin contains a special herbal complex as an active ingredient that effectively combats skin impurities. 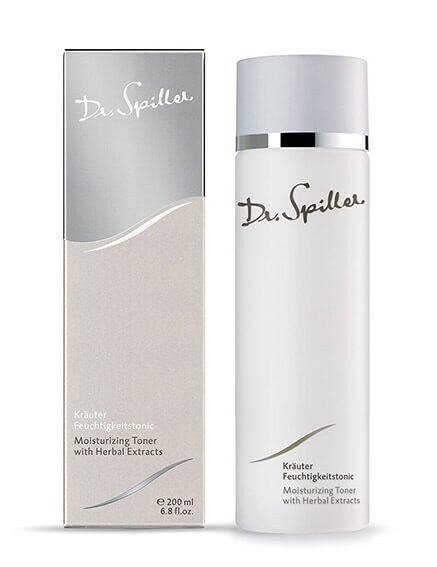 The toner leaves the skin feeling wonderfully clear and fresh. It restores balance to the skin’s flora and helps prevent pimples and inflammation. This results in an clear, clarified complexion. Emulsify the cleanser on the skin with water and remove. Tone the skin with facial toner.